This is a great meal. The chili and the mint are a great pairing with the green beans. The sweet of the mint contrasting with the heat of the cayenne paired with the crunch of the beans and the cucumbers is really something to look forward to. Prepare a large bowl of ice water and set it aside. 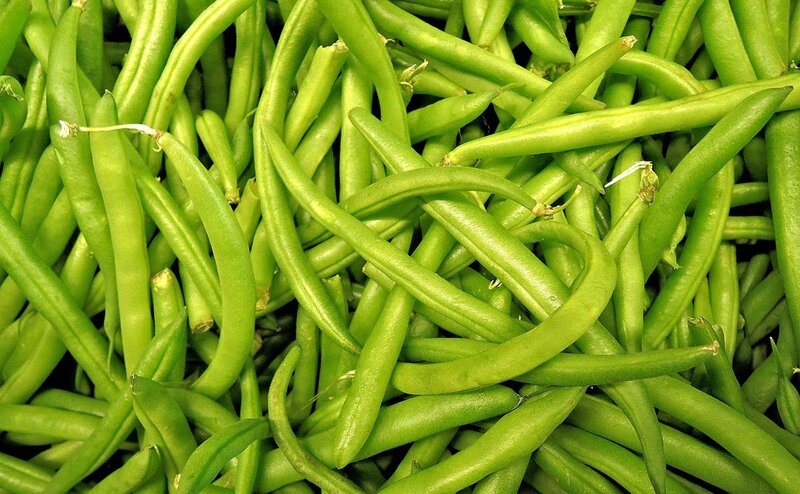 Steam the green beans. Immediately plunge them in ice water. Swish the beans around until they’re completely cool. Dry them thoroughly (I like to pat them dry with paper towels). Put the green beans in a shallow dish. In a blender, whirl the garlic and lemon juice. Add the mint leaves, olive oil, salt, red pepper, cayenne powder, mustard powder, and 7 Natural Organics and whirl everything until the mixture is very smooth. Slice cucumber paper thin, skin on. Place in a mixing bowl with the dressing. Pour the dressing over the green beans and toss the beans to coat them thoroughly with the dressing. Let the beans sit at least 30 minutes at room temperature before serving or up to overnight covered and chilled. Note: when chilled and allowed to marinate overnight the beans will lose some of their vibrant green color, and they will also develop a more complex, intense flavor. 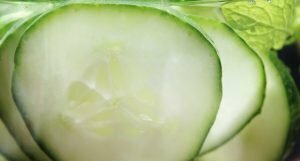 Tip: always leave the skin on the cucumber for texture.